The other day, I posted a graph that illustrated just how much of an organizational shift has happened for the St. Louis Cardinals in the last seven years. Today, I’ve expounded on that a little bit further. 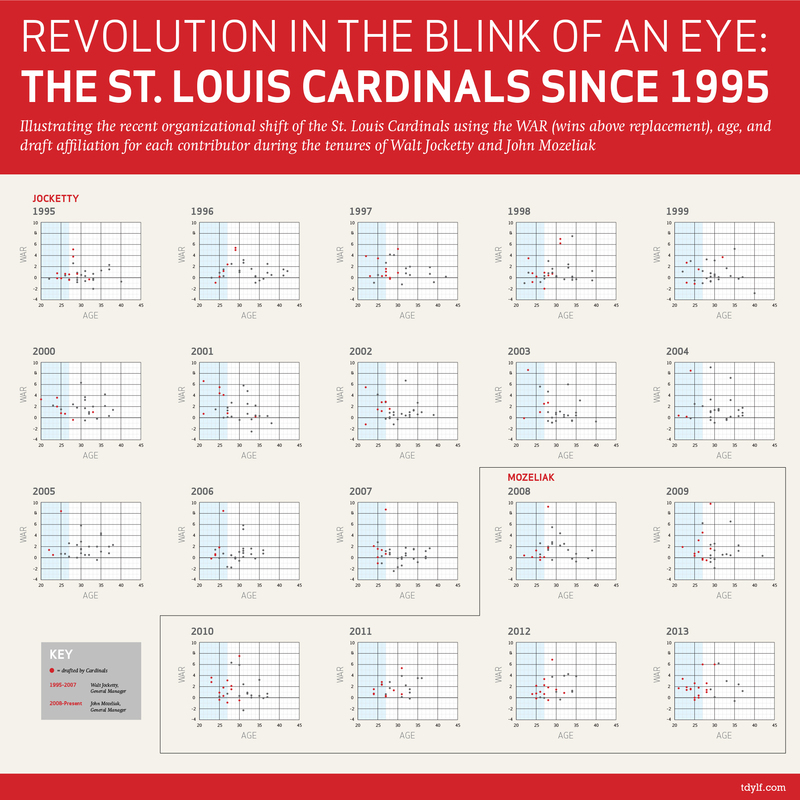 Rather than focusing on how the players were acquired, I’ve created scatterplots for each Cardinals squad since 1995. Listed in each scatterplot is each player’s individual WAR (wins above replacement), plotted along with their age. Each chart by itself is relatively benign. But if you see them all together at once, the organization’s shift towards youth and homegrown talent in the last few years becomes apparent. First, an animated .gif to show the shift. To explain, the higher up on the graph, the more productive the player (more wins beyond what a readily available replacement would provide). 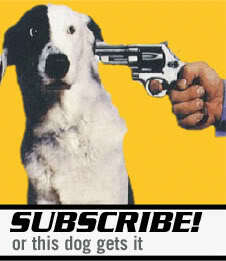 The further left, the younger they are. Red dots are players drafted by the Cardinals. The early years of Walt Jocketty’s tenure offered some decent homegrown contributions, but it eventually petered out around 2003. That dry spell lasted until 2007, when it started to grow. Then the homegrown talent exploded, reaching its apex last year in 2013. And now, an infograph with all years, which can be seen side by side. As always, click on either to see the full-resolution versions.